The following is a collection of National Second Amendment organizations. Dedicated to provide the Jewish community a comfortable, safe, educational, no-pressure environment to experience the satisfaction and pleasure of learning to shoot a gun or honing your shooting skills. Dedicated to protecting firearms rights. Their programs are designed to help all Americans understand the importance of the Second Amendment and its role in keeping Americans free. Promotes firearm safety and marksmanship training with an emphasis on youth. A nonprofit civil rights advocacy organization that serves its members and the public through legal efforts, direct and grassroots lobbying, education, and technology. FPC’s mission is to protect and defend the Constitution of the United States and the inalienable, fundamental, individual right to keep and bear arms. A 501(c)(3) non-profit that aims to become the organization that ensures that every junior shooter that wants to attend a 3-gun match can actively participate. The governing body of a shooting sport that simulates self-defense scenarios and real life encounters. It was founded in 1996 as a response to the desires of shooters worldwide. Organization established to promote, maintain, improve and advance the sport of IPSC shooting, to safeguard its principles and to regulate its conduct worldwide in order to cultivate the safe, recreational use of firearms by persons of good character. A non-profit tax-exempt [501c3] educational civil-rights organization. Their primary focus is The Second Amendment. The National Association for Gun Rights is a non-partisan, civil rights organization focusing on issues relating to the Second Amendment to the Constitution of the United States. A non-profit organization which advocates for the protection of the Second Amendment and the promotion of firearm ownership rights as well as marksmanship, firearm safety, and the protection of hunting and self-defense in the United States. Created by Karen Butler and Cristy Crawford, Shoot Like A Girl (SLG², Inc) is a company dedicated to growing the number of women who participate in shooting sports by empowering them to participate with confidence! A non-partisan organization which believes that holders of state-issued concealed handgun licenses should be allowed the same measure of personal protection on college campuses that they enjoy virtually everywhere else. Dedicated to the preservation and defense of our cherished freedoms enumerated in the Constitution of the United States, especially that freedom which stands as the guarantor of all the others – the Second Amendment. A non-partisan voter registration campaign intended to focus the energy of Americans who are fearful that their Second Amendment rights may be in danger. Provides direct lobbying and grassroots coalition support to protect and advance the rights of hunters, trappers, anglers, and scientific wildlife management professionals. 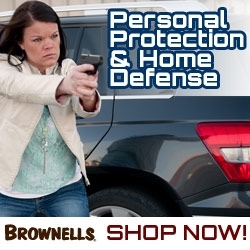 Information on how to legally conceal and carry guns, and US CCW reciprocity information. Identifies and supports the needs of successful and safe youth programs and venues that create measurable increases in youth participation.